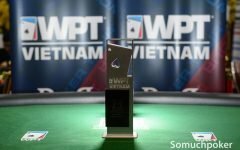 The WPT Vietnam festival ongoing at Pro Poker Club rolled in today with several players earning their time under the spotlight. 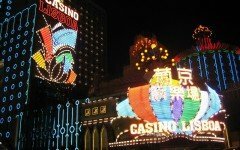 The Super High Roller event, intended to run for just two days, completed in three with Wayne Heung overcoming the rough terrain. 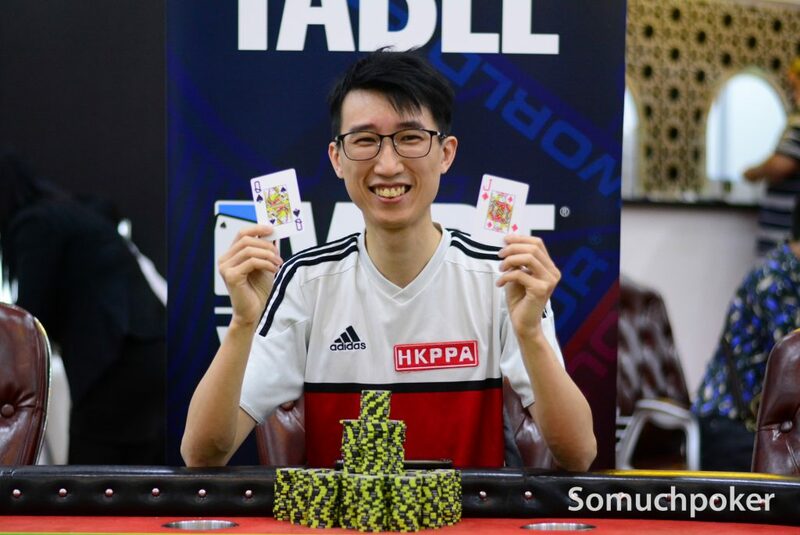 The Short Deck event and Deepstack Turbo also resumed with Macaron Tran and Joey Pang Choyi rising to the top. We’ve got those results for you below along with the Bounty Event that was claimed by Le Ngoc Khanh yesterday afternoon. 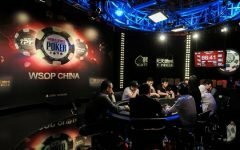 A fantastic turnout at the Super High Roller event with 49 unique players and 12 re-entries for 61 total. At VND 100 Million a pop, a prize pool of VND 5,561,980,000 (US$239,670) was created. 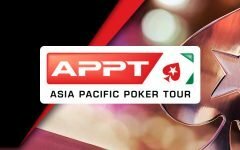 Several known pros in the mix were Marvin Rettenmaier, Danny Tang, Lim Yohwan, Kilian Loeffler, Kannapong Thanarattrakul, however despite these players advancing to Day 2, they failed to reach the money of 8 places. The race to the title and most especially the sizable VND 2,002,310,000 (US$86,275) first prize was a grueling one. The bubble round alone took three hours. Once the money was reached, it took another two hours to cut down to 6 players. 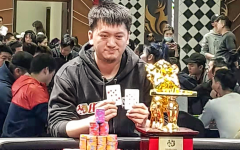 During this time, Wai Kiat Lee shipped a big double up with his over Wayne Heung’s , on a board that eventually completed to . Natalie Teh, once the chip leader, fell in 6th place. She was followed by Sven Joakim Andersson in 5th place. The four-handed round was halted just before midnight and players returned today for the final showdown. Heung entered with the chip lead. Vu Duc Trung attempted to bring it home for the host country, instead he fell in 4th place. The final three players, Heung, Lee, and Phachara Wongwichit discussed a deal but when it wasn’t reached, the game continued. Wongwichit proceeded to fall in 3rd place leaving Team Eagle players (per Danny Tang) Heung and Lee to fight it out. Heung had the advantage, one he has had since the start of the day. The gap between him and Lee continued to widen from 2:1, to 3:1, to 5:1, until the final hand arrived. Lee all in with , Heung had him dominated with , the board ran , and that was it. Heung reigned and claimed the largest first prize of the festival thus far. Only one Short Deck event was offered up at the festival. Although there were only 58 uniques, 36 re-entered for 94 entries total. 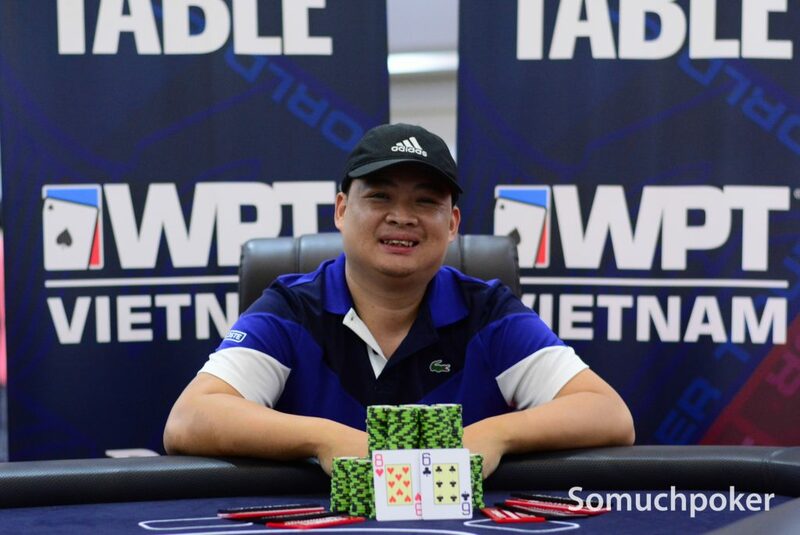 For a buy-in of VND 7.7M, this generated a decent pot of VND 638,260,000 (US$27,500). 12 players earned a piece with Macaron Tran closing it out this afternoon. 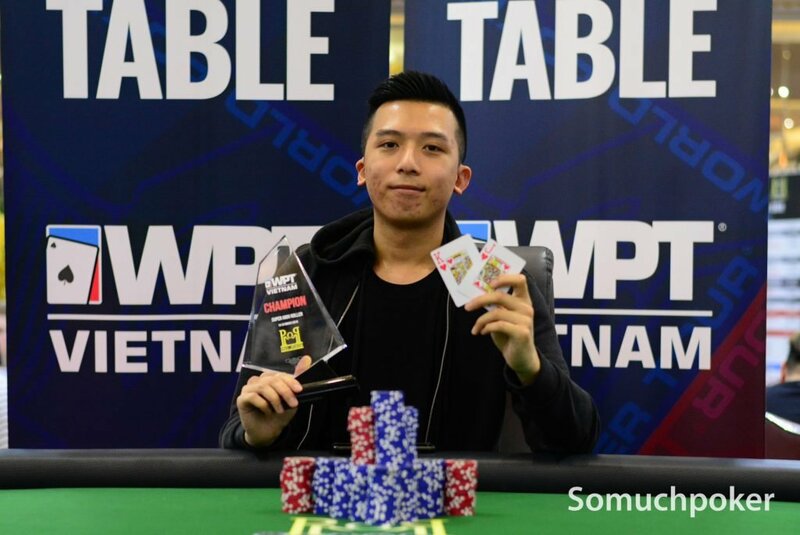 Tran defeated Andy Li Xueyan at heads up. The final hand saw both all in at the flop . Li with , Tran with , the turn and river completed the board for a full house to Tran. Tran won VND 202,490,000. 92 players powered in for last night’s Deepstack Turbo event. 11 re-entered for 103 entries total. The event concluded today with Hong Kong’s Joey Pang Choyi denying Duy Ho the spotlight. During heads up, Pang was ahead but Duy stole the lead when his improved on the board against . Pang challenged back and quickly regained the high chalr. The final hand arrived with Ho , Pang , and the board . It was a jam packed room on Sunday afternoon with the Bounty event occupying all the empty seats as it ran side by side Kickoff Day 2. In the aftermath, 178 signed up, each one paying the VND 6,600 buy-in for a prize pool of VND 679,960,000. The money flowed on the first day starting at 23rd place however the bigger cuts were dished out on the final day. Winning it was well known Vietnamese pro Le Ngoc Khanh. 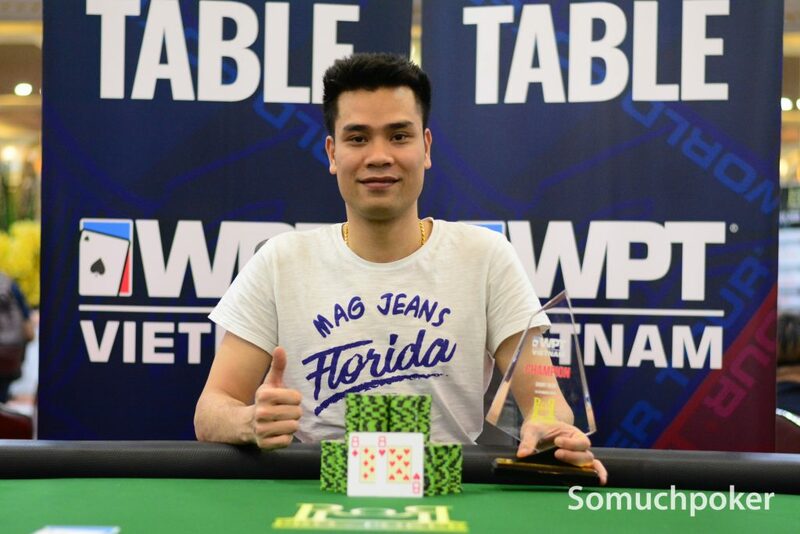 He denied fellow countryman Nguyen Duc Thanh a second title and pocketed VND 176,140,000 for his victory.